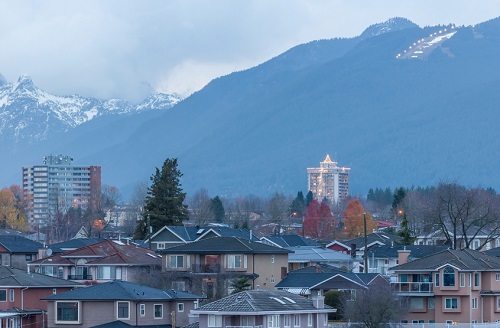 When it comes to real estate in Canada, the Vancouver market tends to dominate the head­lines. Sky-high property prices are a concern in the province, and there is a real fear that middle-class families are being priced out of the city. Foreign speculators are the villain in this particular narrative, so it wasn’t that surprising when the provincial government announced plans to increase property tax for foreign investors to 15%. The move has been praised and derided almost in equal measure. Supporters say the tax hike was a necessary step to address a situ­ation that is fast becoming untenable, while critics argue that action is indeed required, but not in this manner. Olin believes that Vancouver’s hot market can be traced back to a lack of long-term planning. “You have a lot of environmentally conscious people in British Columbia,” he says. “You have agricultural reserves in the city, and there is a perception that is an environmentally sensitive thing to do. It’s actually the reverse. Certainly, nobody wants to live in a concrete jungle devoid of green space, but Olin argues that the reserves have a huge cost to bear – a cost that is being placed on homebuyers.